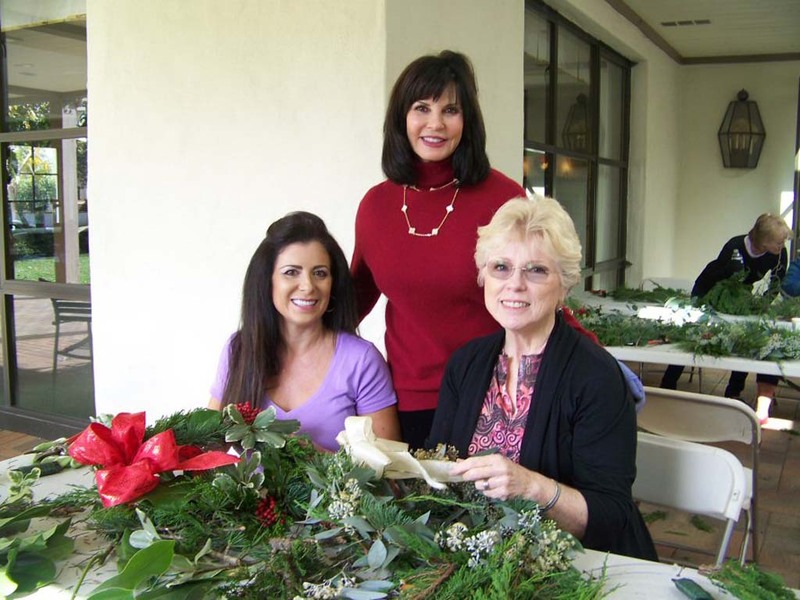 RANCHO SANTA FE — The tradition of wreath-making at the Rancho Santa Fe Garden Club predates World War II. No one can remember how long it went on before that, said Shirley Coreless, who had been charge of the event for the past several years. The tradition is to make one wreath for oneself and then one to donate to the Rancho Santa Fe Senior Center for distribution to the homebound, Coreless said. “We always donate one to the Library for their tea,” she said. During the event, held on Dec. 5 outside the clubhouse, at least 20 people stood at tables practically knee-deep in a variety of greenery turning them into beautiful Christmas wreaths. The raw material included blue cedar, eucalyptus, magnolia and ivy. Also used are a variety of berries and dried hydrangea heads — all landscape clippings. 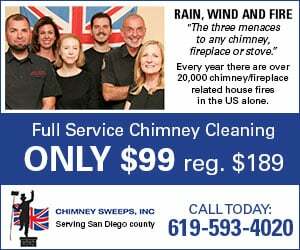 “The greenery is collected from private estates by Arnold Keene and his crew from the Rancho Santa Fe Association,” she said. The garden club donates the materials, such as the wreath rings and ribbons, to the cause. Those who wanted could personalize their own wreaths with items they brought from home. Coreless said she was happy to see so many people turn out for the event. “It’s a really nice experience for those who have never done it before and those who did not realize the artistic ability they have,” she said. That proved true with William McMullen, first-time wreath-maker whose first effort was so beautiful that is was chosen as the one to donate to the library. His second effort was shaping up beautifully as well. Coreless said the wreath-making event is truly a genuine expression of the Christmas spirit and a way to good way to get into the “true” holiday spirit. Ginger Bord, former garden club president, said she was happy with the turnout and the number of new people who came. “We are really set on keeping the tradition alive,” Bord said. The Rancho Santa Fe Garden Club was founded in 1926 to enhance gardening and landscaping in the area. An anonymous donor gave funds to build a clubhouse. Famous architect Lilian Rice, who is responsible for the design and look of the Village, designed the clubhouse and supervised its construction.